Species: Barley, Hordeum vulgare L.
Barley is one of the world’s most important cereal crops, and the first high-resolution sequence of its large genome—twice the size of the human genome—could have important implications for global food security. A small army of researchers have now produced a detailed map of the haploid genome’s functional regions, including genes that confer resistance to disease. 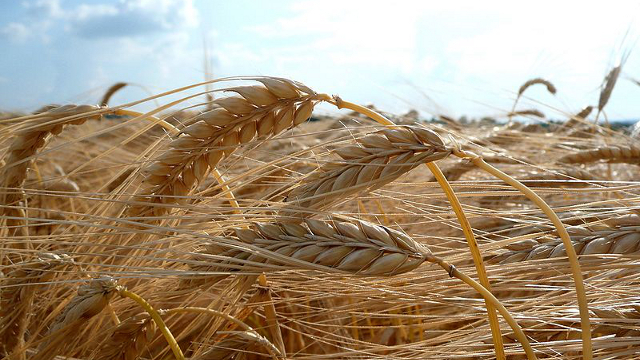 This information should help agricultural scientists to improve yields and create more robust barley varieties that can better cope with pests, disease, and extreme weather wrought by climate change. Malted barley is a key ingredient for brewers and distillers too, so it could also help produce tastier booze. K. Mayer et al., “A physical, genetic and functional sequence assembly of the barley genome,” Nature, doi: 10.1038/nature11543, 2012. 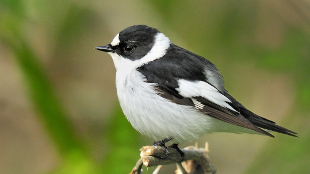 Species: Collared flycatcher, Ficedula albicollis; Pied flycatcher, Ficedula hypoleuca. The collared flycatcher and its close relative the pied flycatcher look different—the former has a white collar—but they’ve probably only been separate species for the last 2 million years, which makes them a good case study for looking at speciation in action. Comparing the genomic landscapes of 10 specimens of each species, researchers identified 50 regions with particularly high levels of divergence. These “divergence islands” coincide with regions thought to house centromeres and other repeat-rich sequences involved in the segregation of chromosomes during meiosis, rather than protein-coding genes. The findings raise the possibility that these key repetitive elements of chromosomes help drive speciation. H. Ellegren et al., “The genomic landscape of species divergence in Ficedula flycatchers,” Nature, doi:10.1038/nature11584, 2012. Comprising 15 percent of all lung cancers, small-cell lung cancer (SCLC) spreads quickly to other parts of the body and leads to early death. And this type of cancer is rarely operable, so genomic analysis of large numbers of tumors has been difficult. Now, two separate groups have sequenced the exomes of 82 SCLC samples and identified new genes that are frequently mutated in this form of cancer. One group found that the SOX2 gene was amplified in 27 percent of samples, for example, suggesting that it might play a causative role. 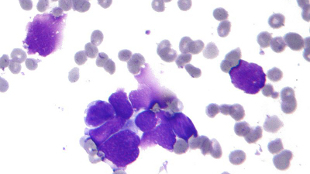 The other group found that the gene for FGFR1 tyrosine kinase was amplified in 6 percent of samples, a finding that has led to a new clinical trial for FGFR1 inhibitors. M. Peifer et al., “Integrative genome analyses identify key somatic driver mutations of small-cell lung cancer,” Nature Genetics, doi:10.1038/ng.2396, 2012. C. M. Rudin et al., “Comprehensive genomic analysis identifies SOX2 as a frequently amplified gene in small-cell lung cancer,” Nature Genetics, doi:10.1038/ng.2405, 2012. 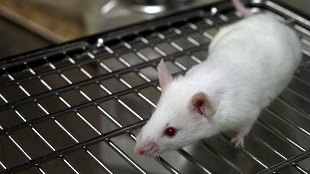 FVB/NJ mice boast several key characteristics—including large pronuclear morphology, vigorous reproduction, and large litters—that make them a favorite for the development of transgenic mouse strains. They also display several phenotypes related to human disease, including the spontaneous development of tumors in a range of organs and resistance to atherosclerosis. Researchers have now created a catalogue of the structural and polymorphic variants of FVB/NJ mice relative to those of C57BL/6J mice, whose genome was sequenced in 2002. By increasing the number of known sites of genetic variation between the two strains, this research should speed the identification of variants that cause the various phenotypes observed in the FVB/NJ strain. K. Wong et al., “Sequencing and characterization of the FVB/NJ mouse genome,” Genome Biology, doi:10.1186/gb-2012-13-8-r72, 2012. Bactrian camels live in the frigid deserts of northwest China and southwest Mongolia. To better understand the evolution of the physiological feats that help them survive in such harsh conditions, researchers sequenced the genome of a wild and a domestic camel. 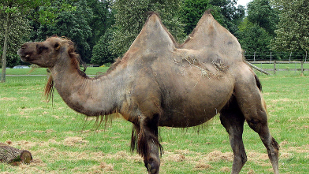 They identified 2,730 genes that evolved much faster in the camel than in cows, with which the camel shared a common ancestor around 60 million years ago. Many of those genes turn out to be involved in metabolic pathways. For example, the researchers found that the P13K and AKT genes—both involved in insulin signaling—have undergone rapid divergence, which may explain the high levels of insulin resistance that allow camels to tolerate a high dietary intake of salt without developing diabetes. The camel also has more copies of CYP2J and CYP2E, genes that help transform arachidonic acid into a potent vasodilator of renal blood vessels that stimulate water reabsorption. H. Meng, et al., “Genome sequences of wild and domestic Bactrian camels,” Nature Communications, doi: 10.1038/ncomms2192, 2012.